Career Ready is the national charity that links schools and colleges with employers to prepare young people for the world of work. Are you looking to make a lasting difference to a young person’s life? You’ll meet with a young person aged 14-18 on a monthly basis, chat to them about their different career options & pathways, and help them develop the skills & confidence needed to kickstart a rewarding future. We are looking for professionals with strong interpersonal and communication skills able to share their career story, help young people develop new skills, and provide much-needed support during what is a crucial time in a person’s life. 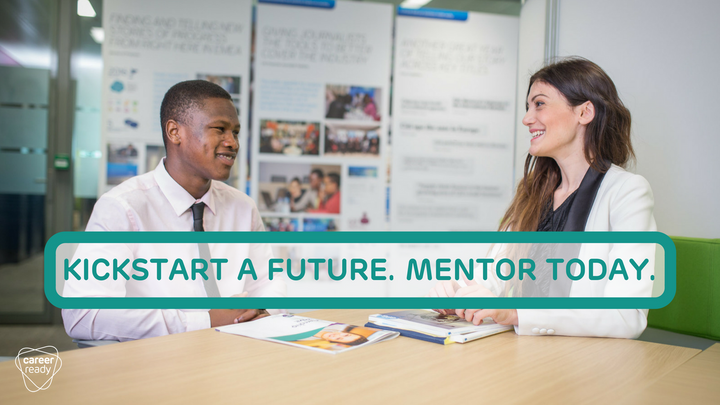 As a Career Ready mentor, you will be expected to meet with a young person from a local Career Ready partner school or college on a monthly basis at either your workplace or at their school/college, with each meeting lasting approximately an hour. We will provide a training and literature to guide you through your mentor journey and our team at Career Ready will be your first point of contact. All volunteers must pass a DBS check prior to starting.